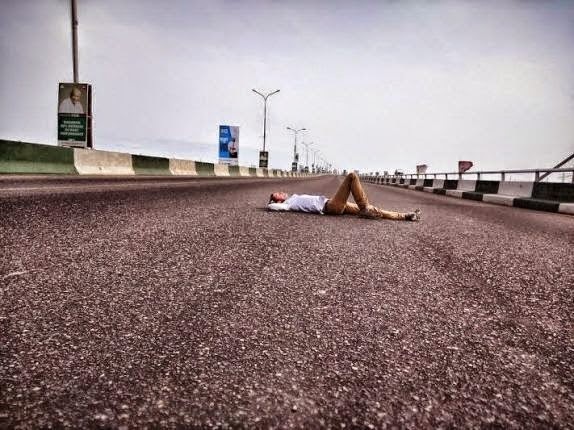 (Photo) Can You Take A Nap On 3rd Mainland Bridge Like This Man? 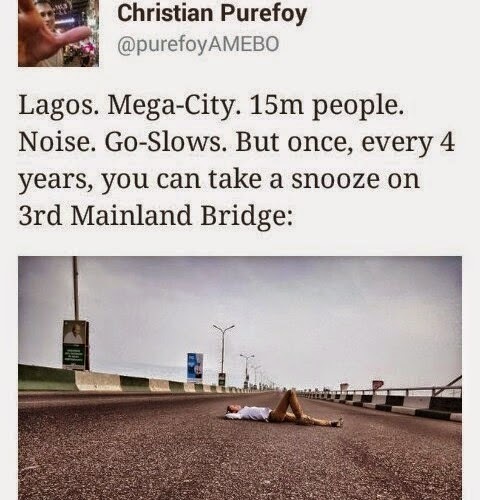 One of the CNN correspondent Christian Purefoy decided to take a nap on the ever busy 3rd Mainland Bridge. Ya, it's amazing! But the question is would you do it?